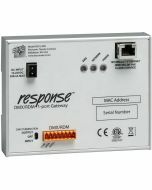 ETC's Response 4 Port Gateway is a DMX/RDM distribution device built on the quality and reliability of ETC's network development. Built for networking systems using industry standard streaming ACN (sACN) protocol, the Four-Port Gateway is compatible with ETC network system products. 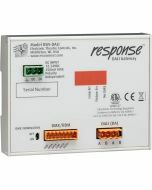 It uses bidirectional Ethernet communication with other network devices to send or receive DMX512 data and RDM messages. 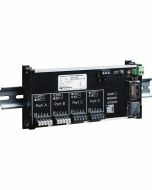 The Four-Port Gateway supports up to four DMX inputs and outputs on terminal strip connections in any combination to transport up to 2048 channels of DMX over Ethernet. 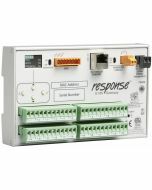 Each Gateway may be configured with as few as one port or up to four ports, with each port independently defined as an output or an input. ¹ Must be configured using external PC running Net3 Concert. 14.3" x 12" x 3"